If you are looking to begin a new copier lease then there are some things that you are going to want to know. Getting a great copier lease isn’t always easy. There are a number of things to consider and it’s important to try and get the right lease the first time. That’s why we have made this list of things to consider when starting your first copier lease to make it all a little easier. Think about what you absolutely need. Does your business rely on color prints? What kind of workload will your copier need to handle? Do you need a tabloid machine to handle your bigger prints? Thinking about these things early on can help you find out how much it should cost for the things you need the most. Don’t get talked into getting features that you don’t need. Think about your budget. This doesn’t just mean the budget for your lease. There are going to be other things to consider like print costs, toner, paper, and more. Make sure that you understand your budget and stay within it. How long of a lease are you looking for? Lease length matters for a number of reasons including cost and future planning. You are going to want to make sure that your machine will hold up to any growth that you might experience later on. Figure out what features are most important and stick to it. Don’t get a massive machine for making posters if your business never does that. There will be a machine to fit your business so don’t spend more on something to get features that you won’t use. It’s smart to be conservative when looking for a new office copier. 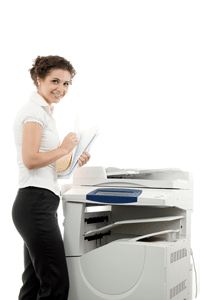 Starting your first copier lease can also be made easy by visiting our great staff at Fort Collins Copier. They are the ones that you want on your side when getting a great new copier lease. Don’t get fooled by the other guys. Work with the best at Fort Collins Copier.